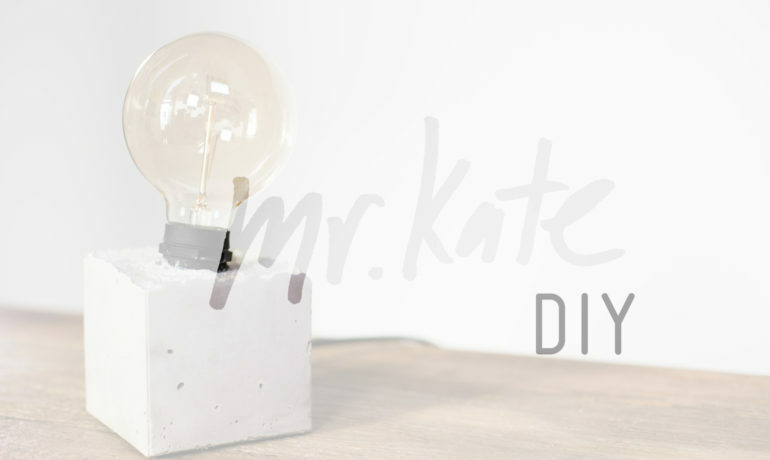 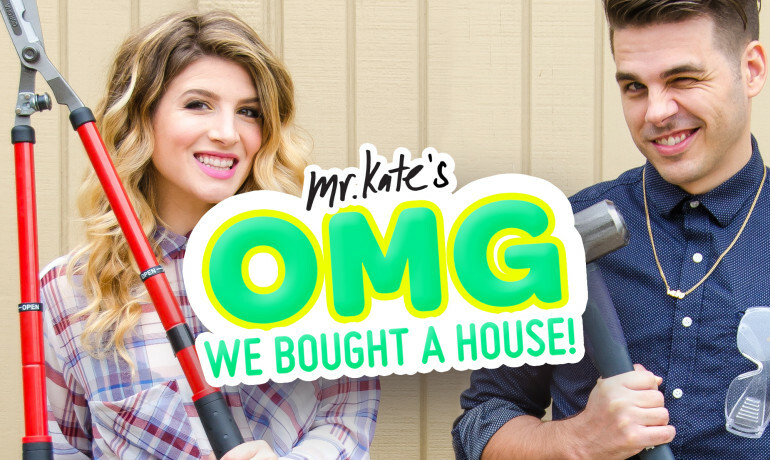 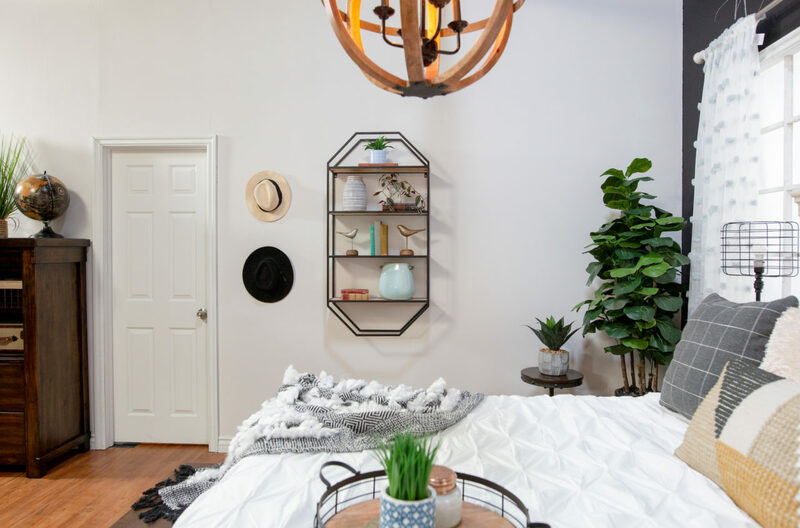 Mr. Kate - Design Vs. Design: Modern Farmhouse Bedroom Competition! 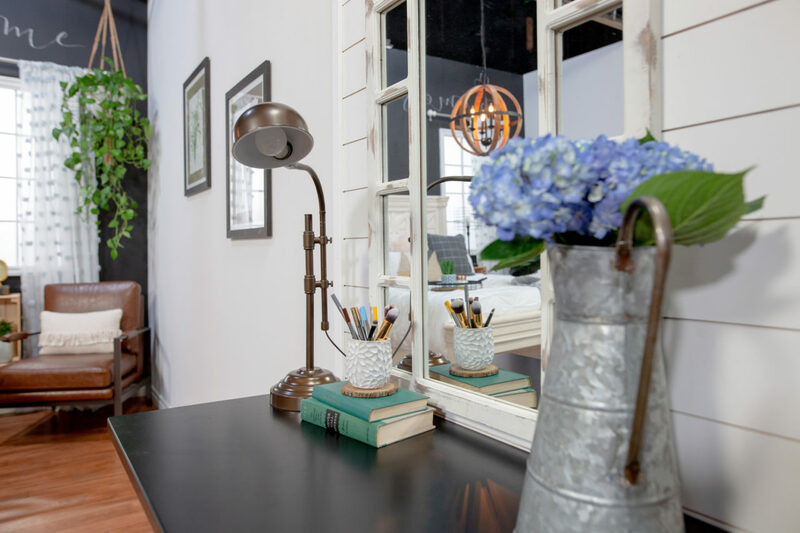 Welcome back to Design Vs. Design! 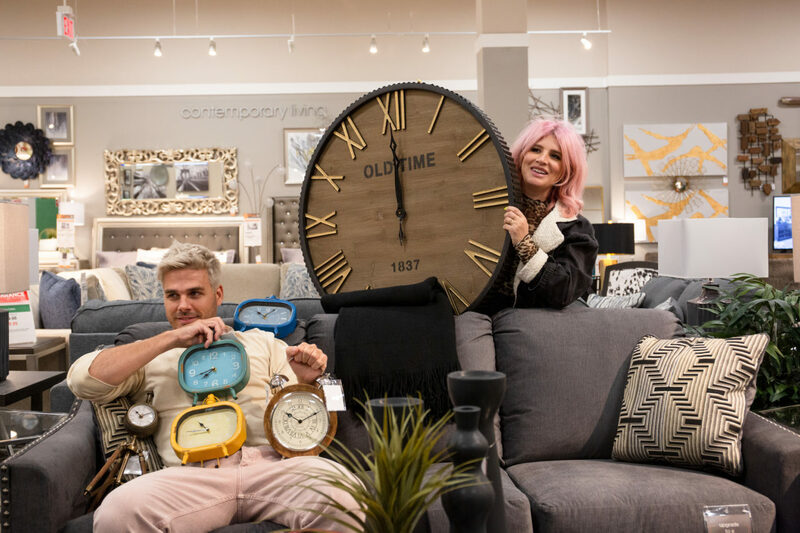 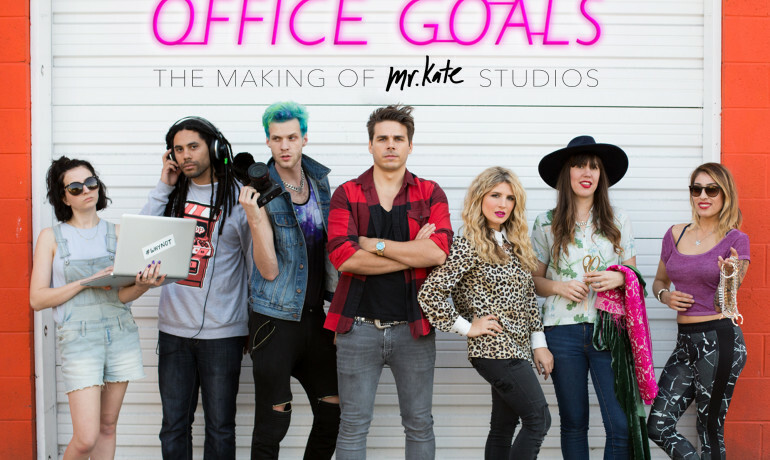 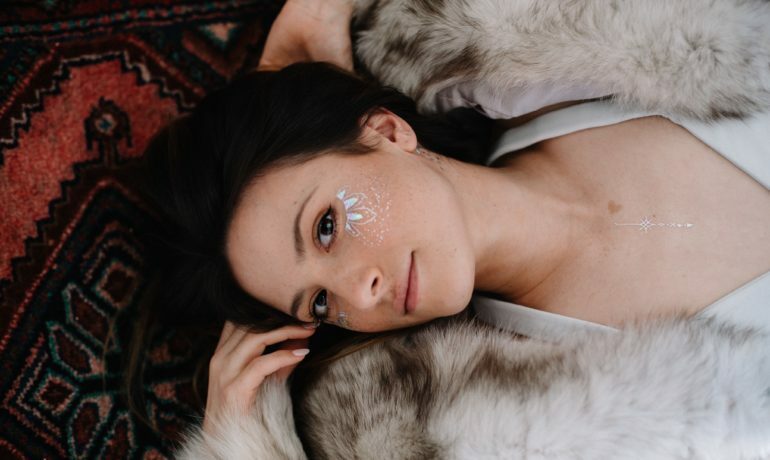 This show is meant to celebrate the inspiration and interior design vision of the creative weirdos by giving two lucky participants the chance to shop, paint, and decorate a room. 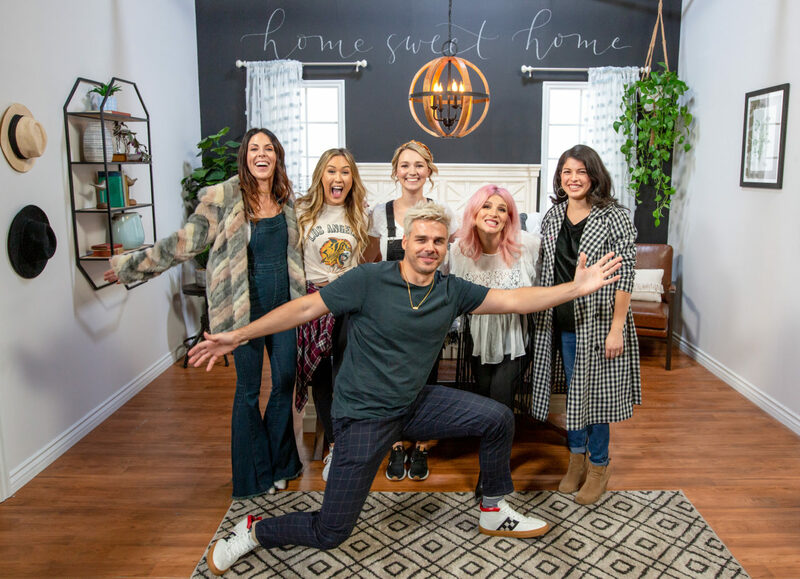 They’ll be mentored by Joey and I, and judged by our panel of experts, and at the end of the competition, a winner will be crowned! 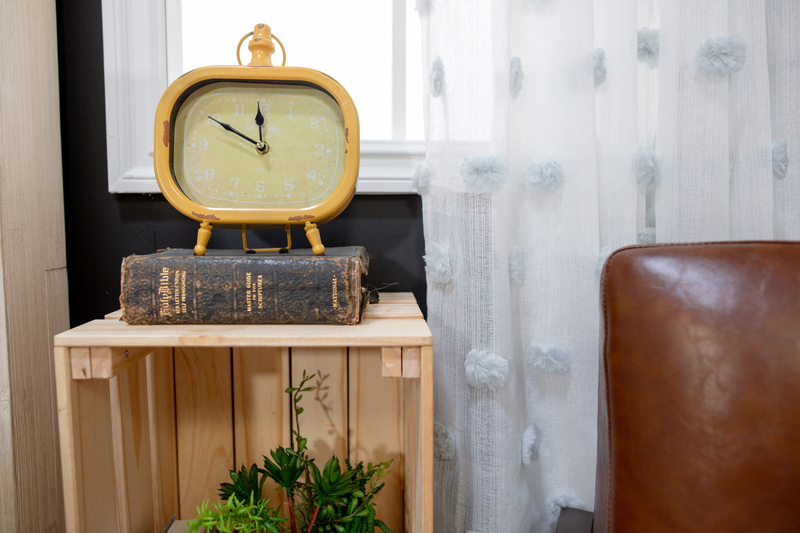 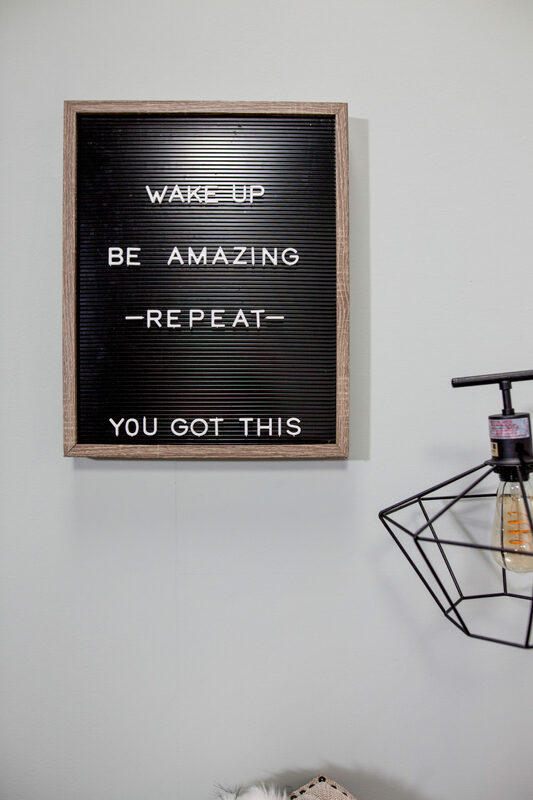 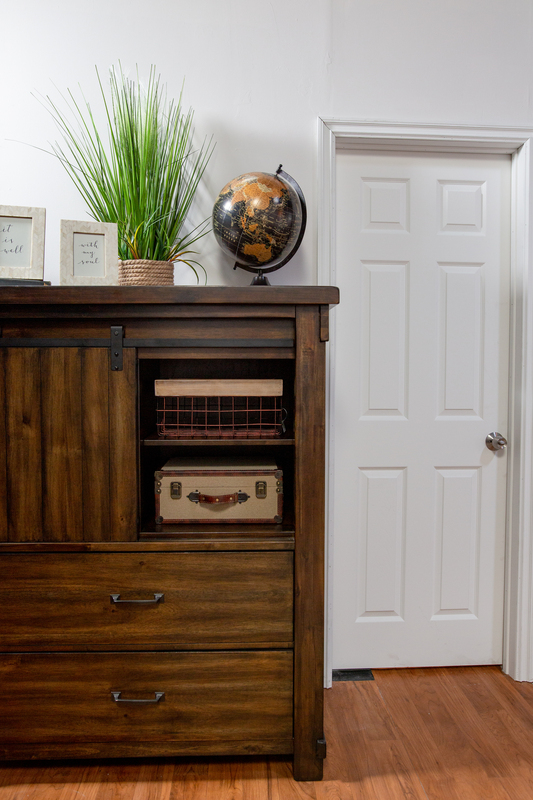 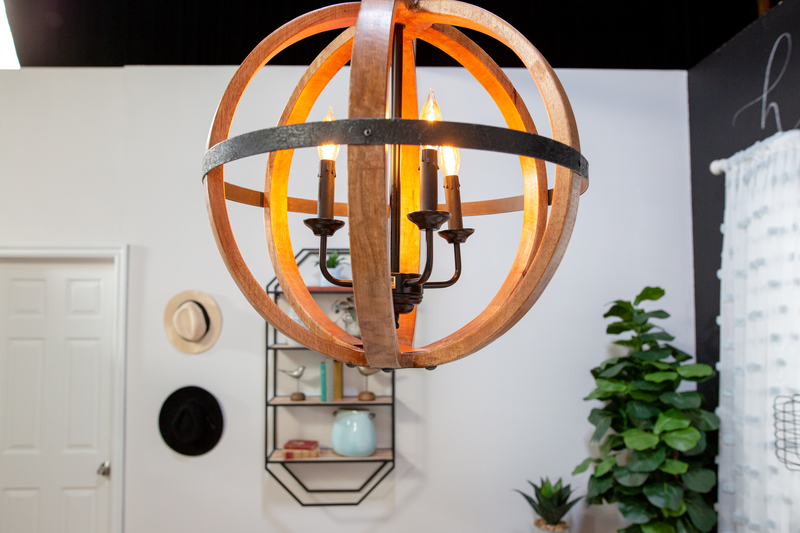 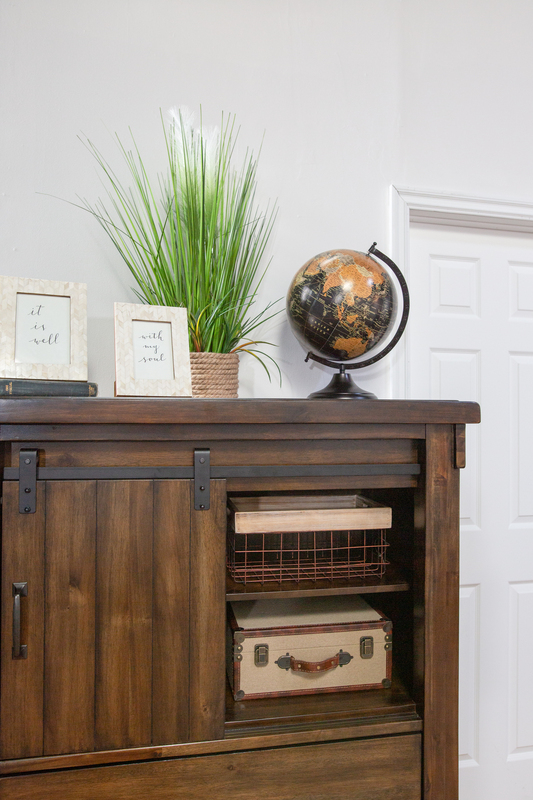 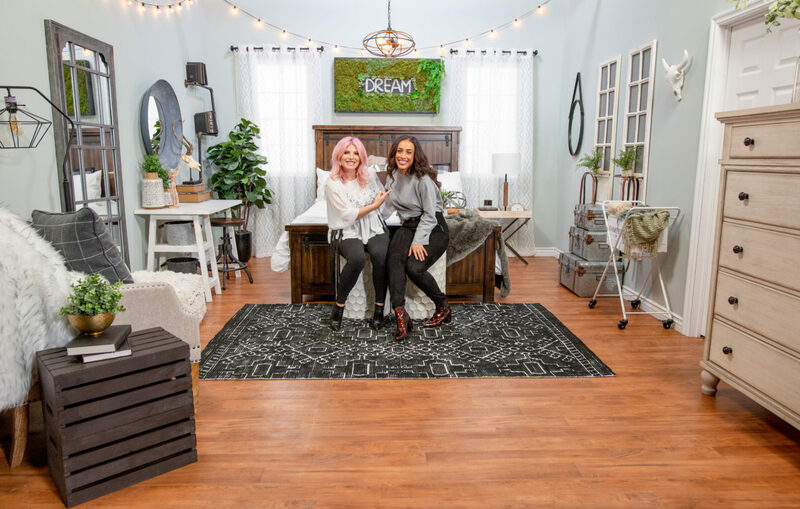 For this episode, we decided to give the two amazing ladies competing an extra challenge — the room had to be in the modern farmhouse style, and had to feature a DIY. 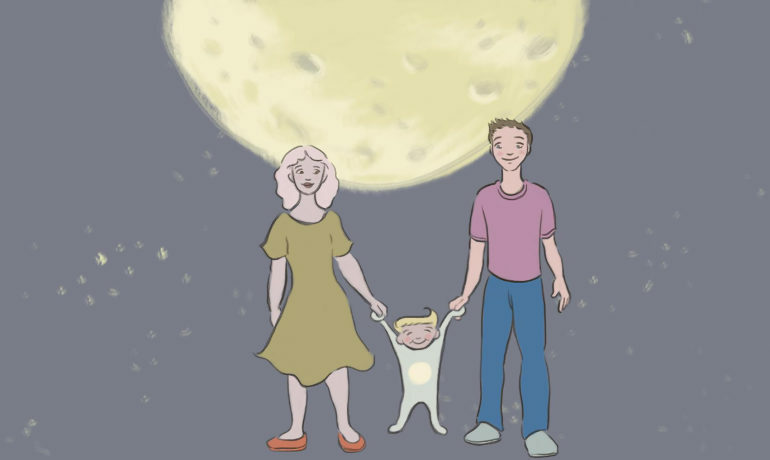 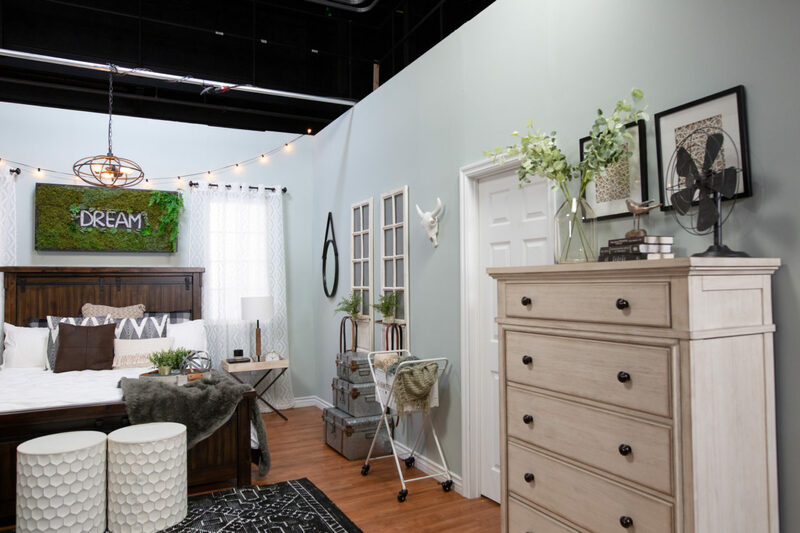 Watch the episode above and check out the pictures below to see what they created! 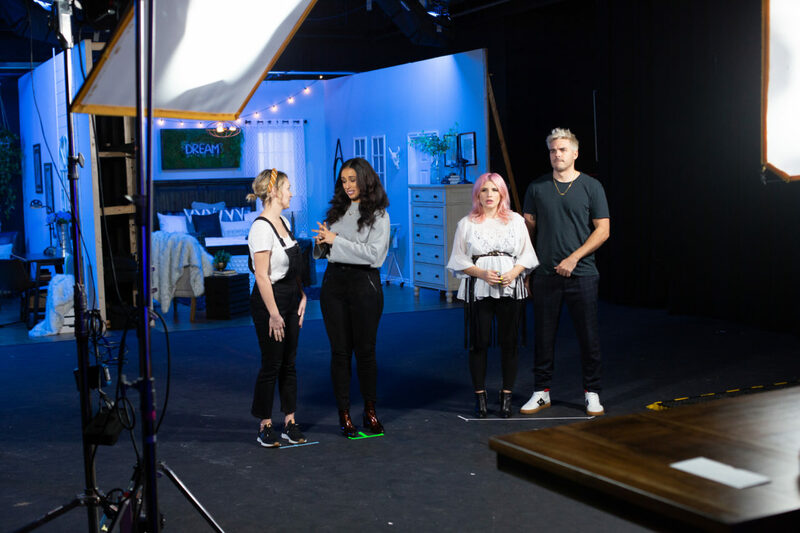 Our lovely contestants, Ashley and Hannah! 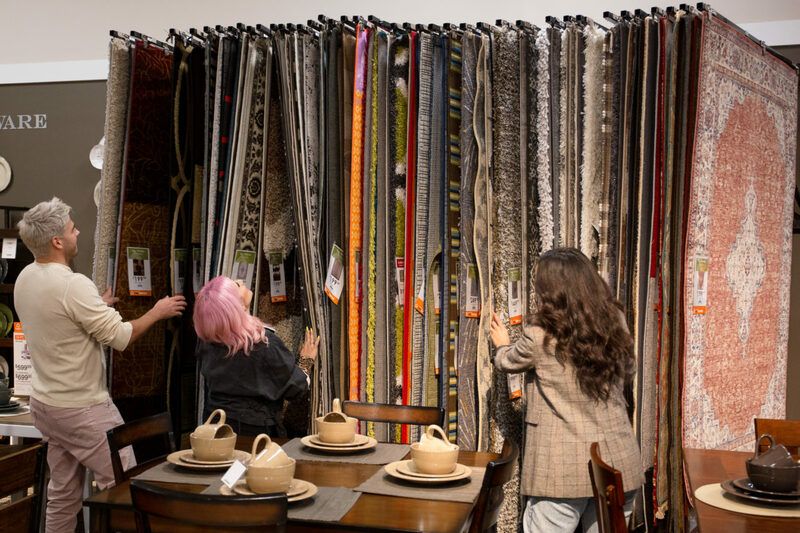 While Ashley and Hannah shopped, Joey and I took our rug cuddling to the next level — vertical! 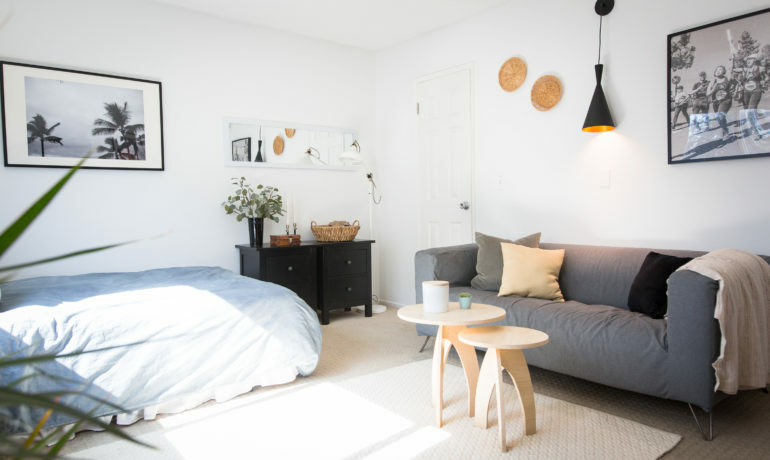 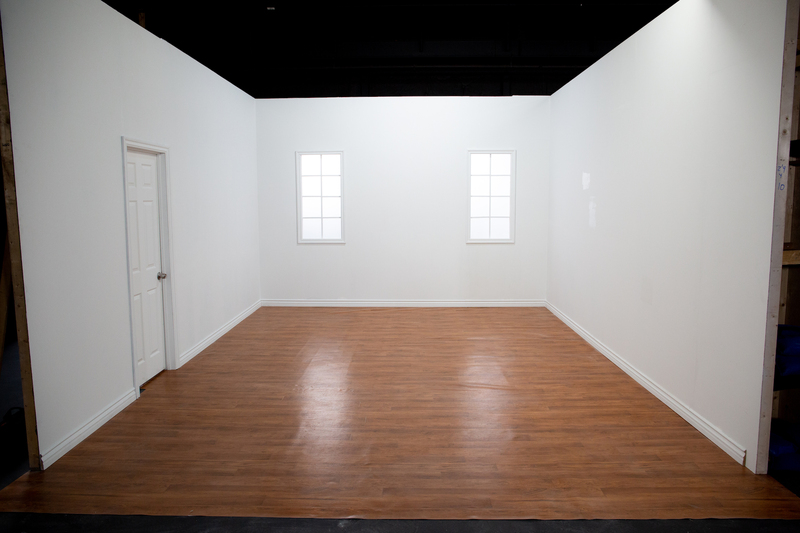 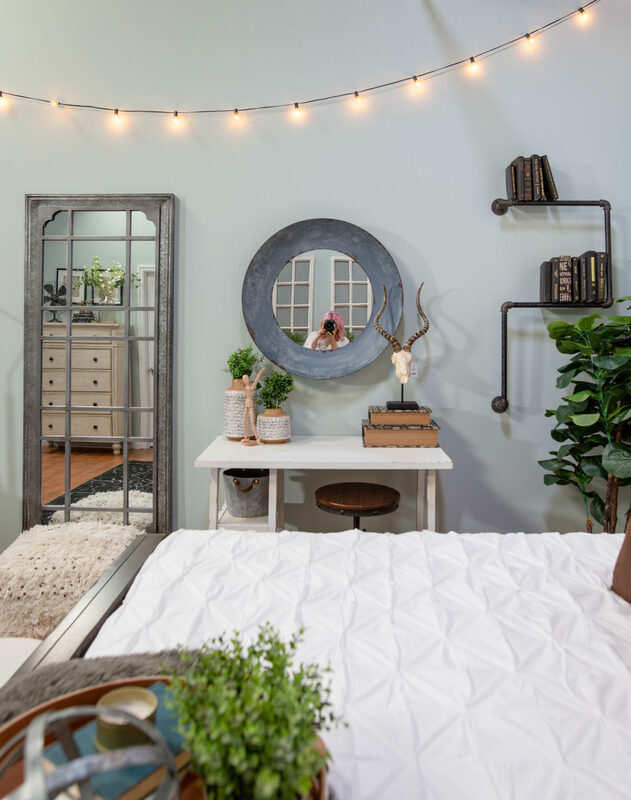 Behold, Hannah’s Modern Farmhouse Bedroom! 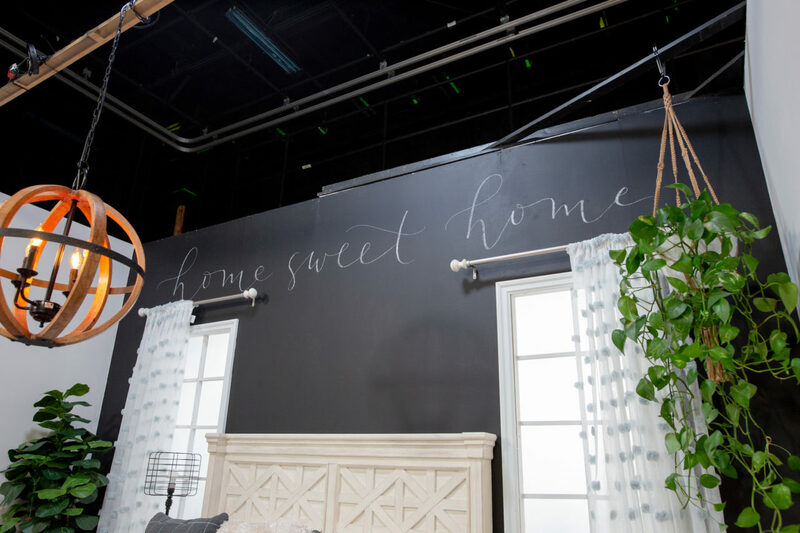 I loved that Hannah featured a chalkboard wall behind the bed, anchoring the room and giving herself an opportunity to spotlight some amazing calligraphy skills. 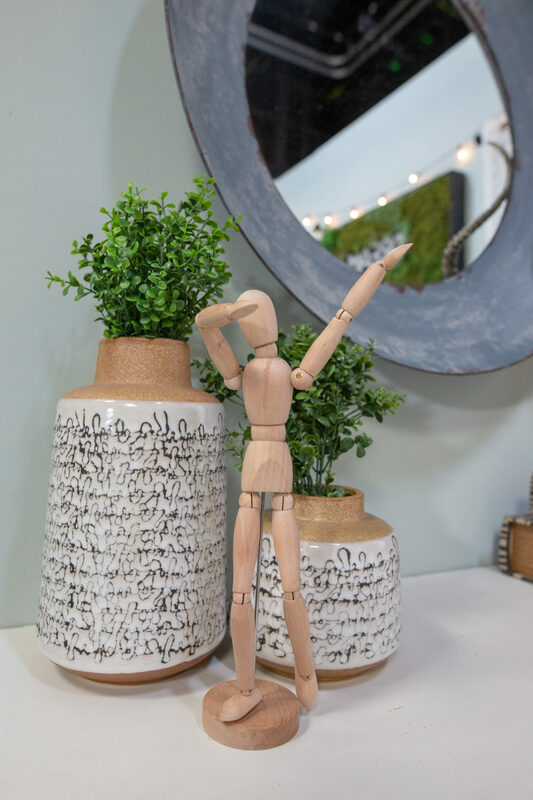 Hannah’s DIY was this shiplap wall, created from plywood! 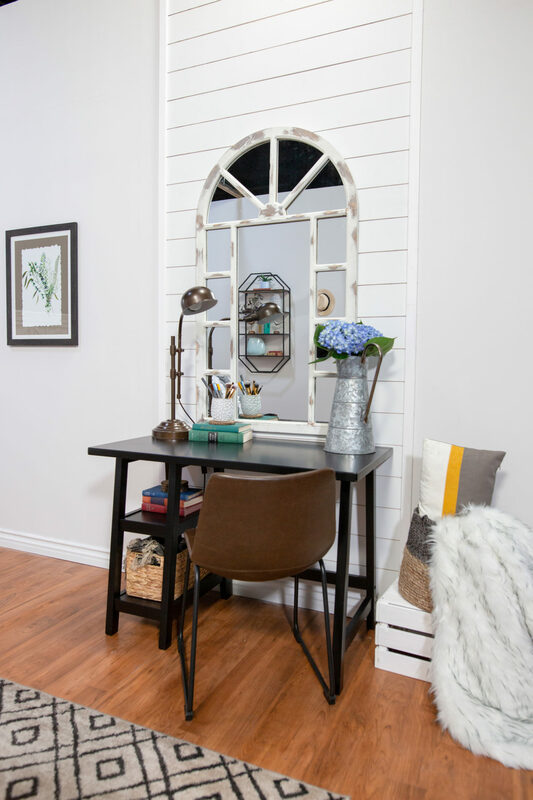 See our tutorial for a faux shiplap wall here! 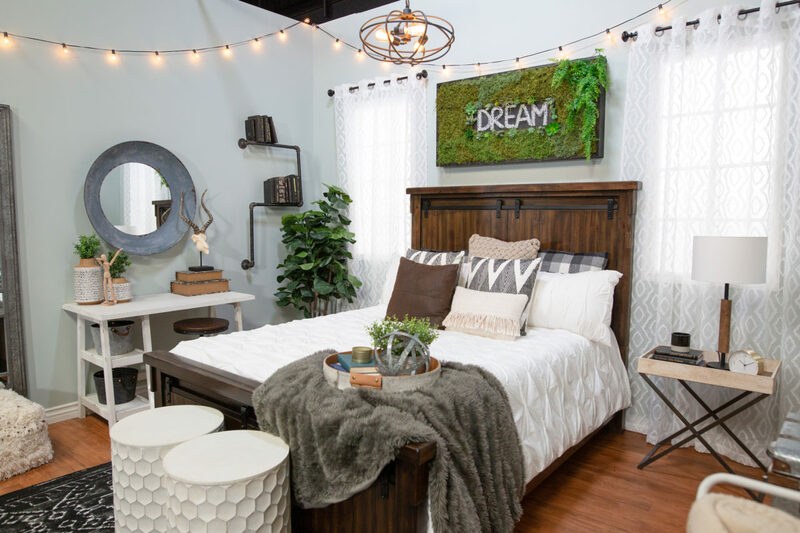 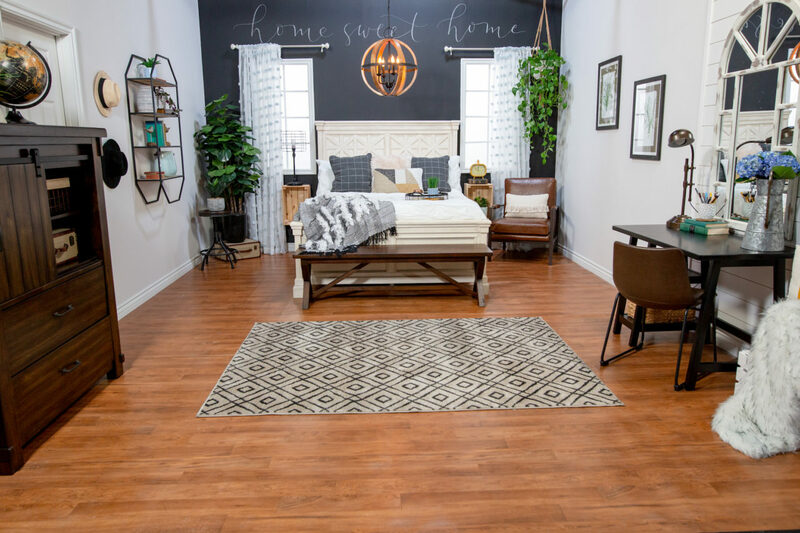 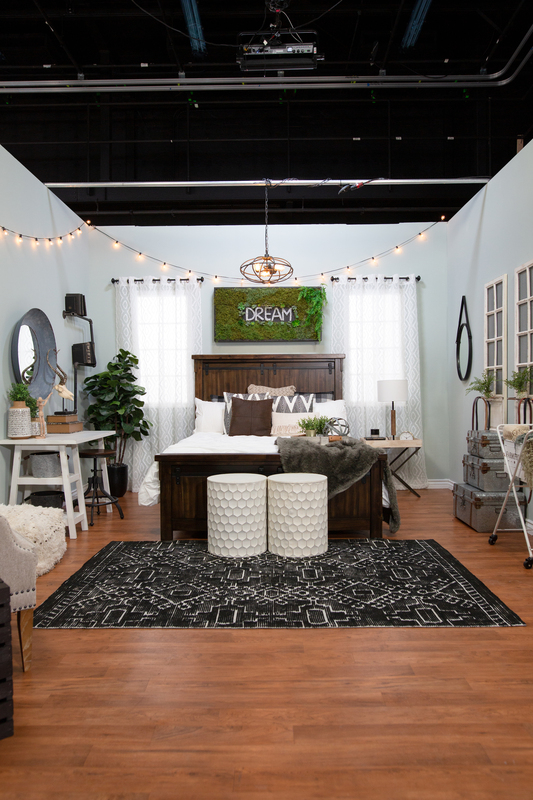 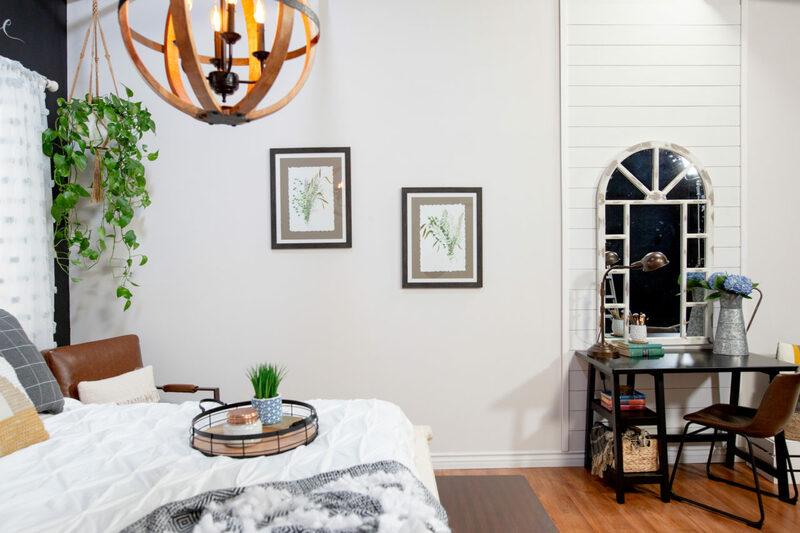 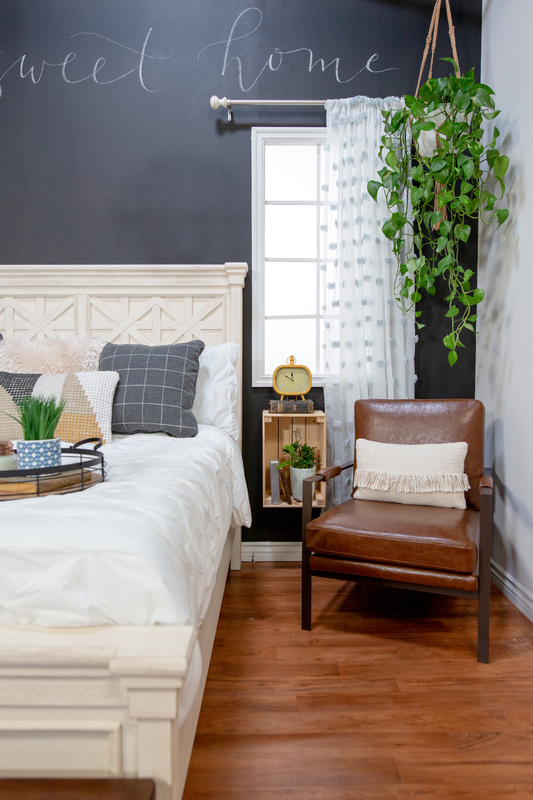 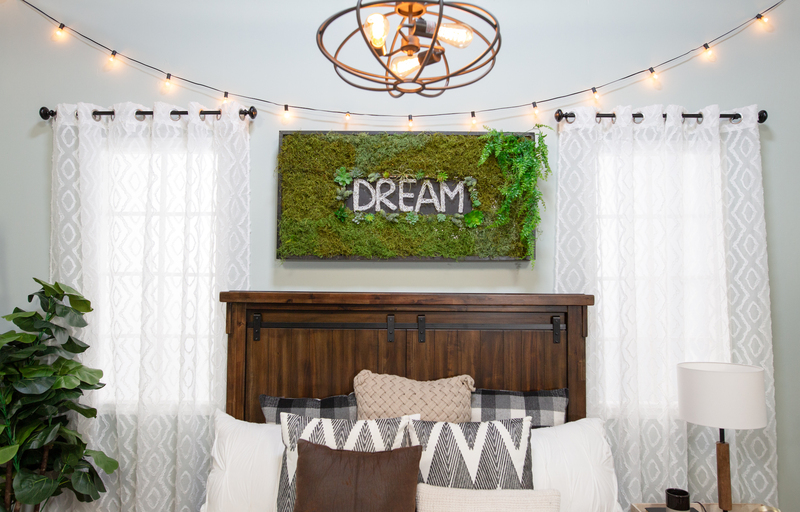 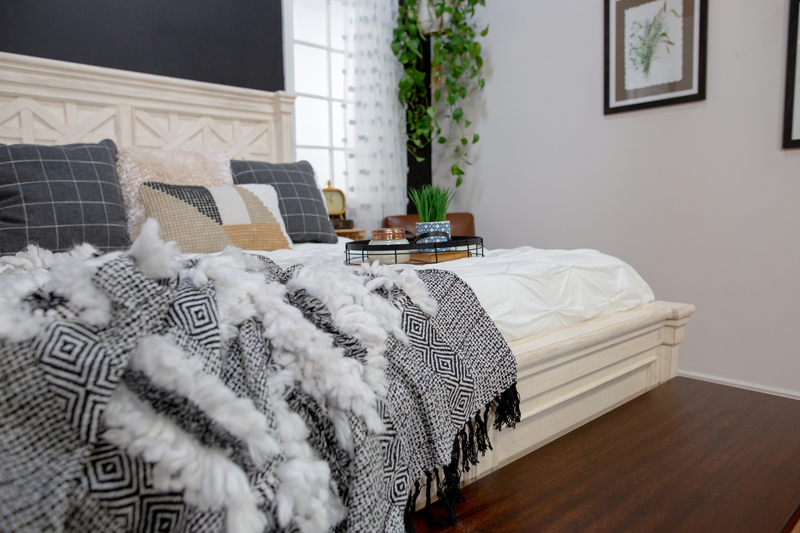 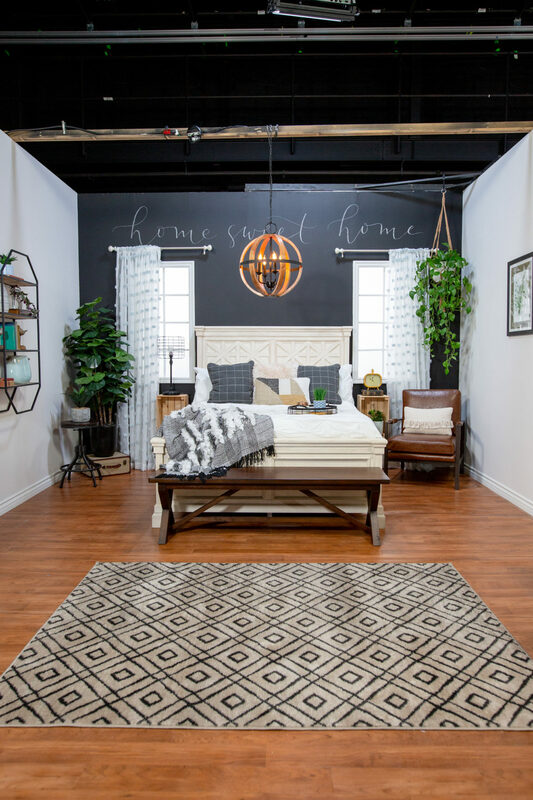 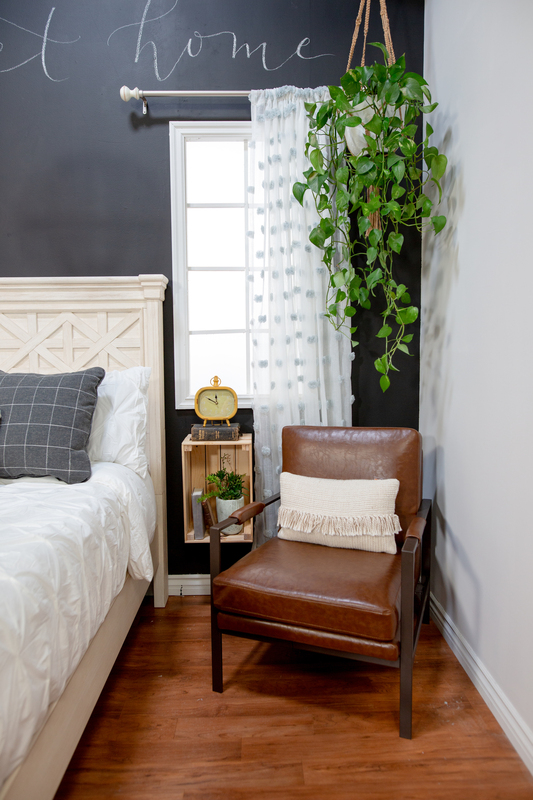 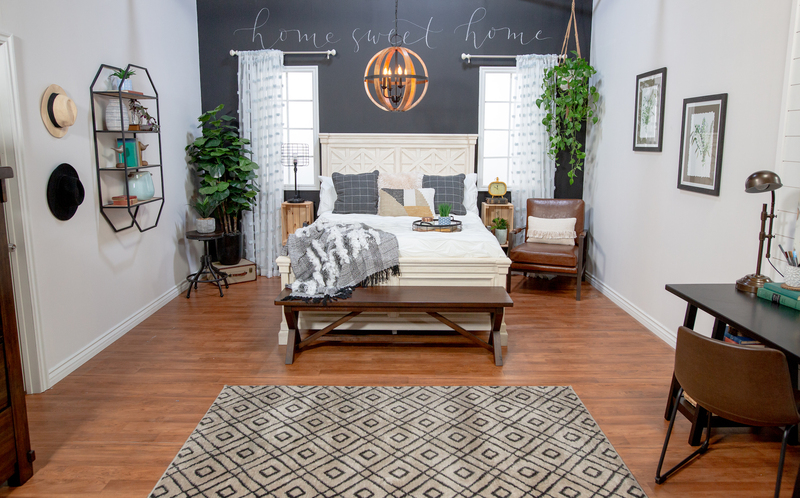 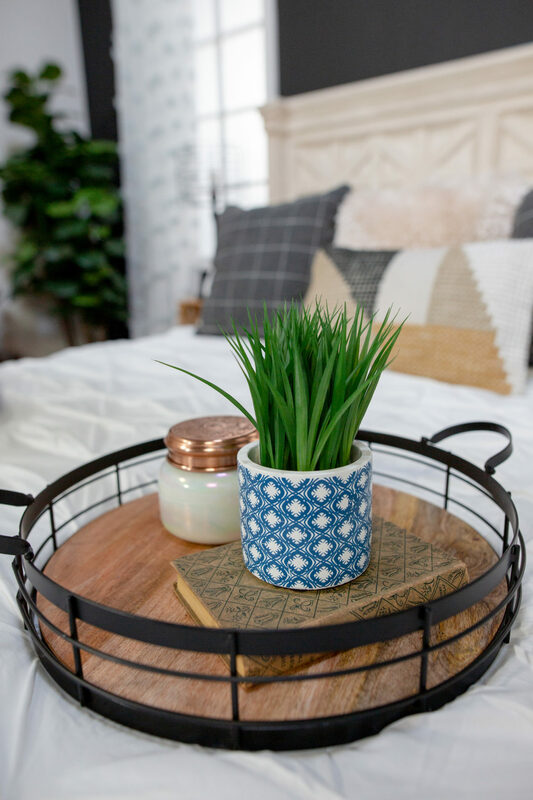 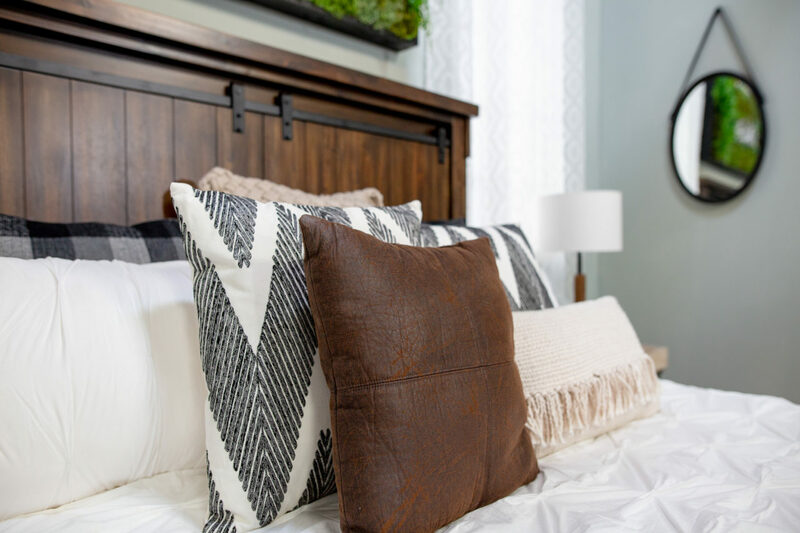 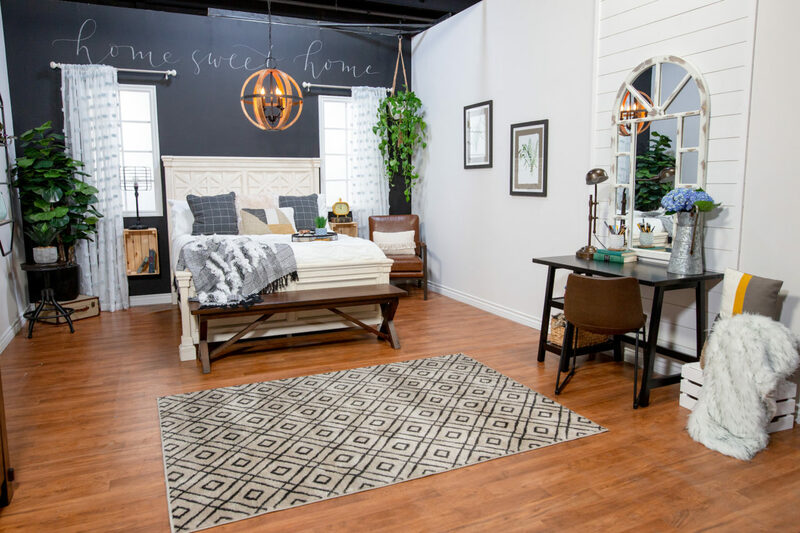 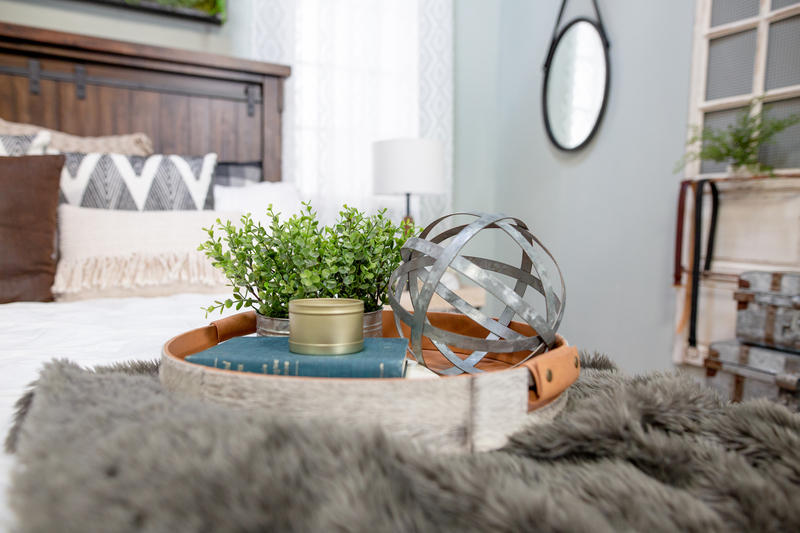 Now, time for Ashley’s take on a Modern Farmhouse Bedroom! 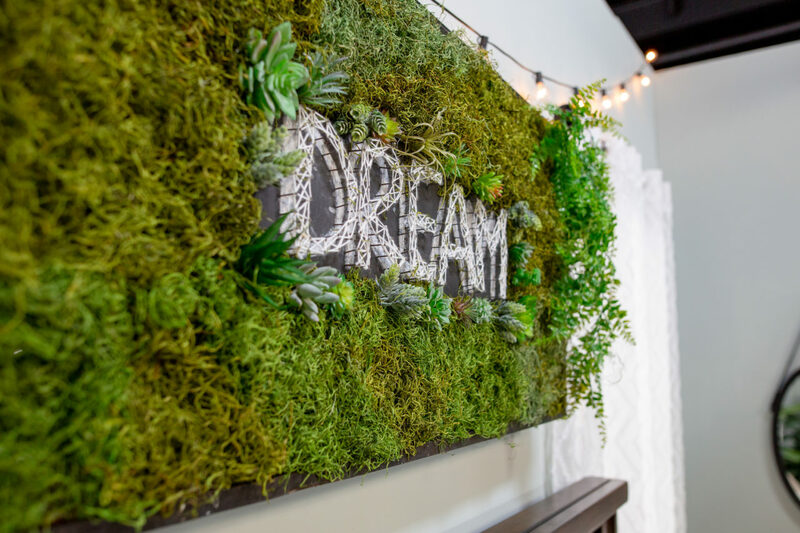 How insanely impressive is this living wall that Ashley created 100% from scratch! 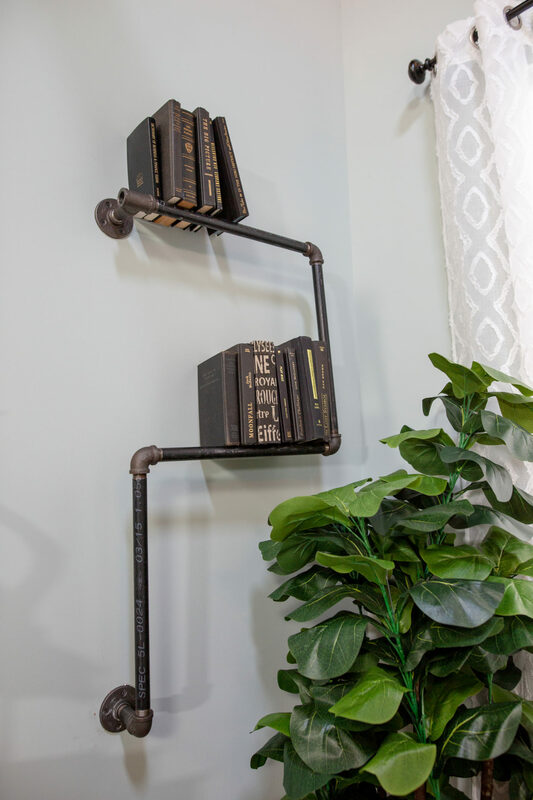 She also created this DIY industrial pipe bookshelf! 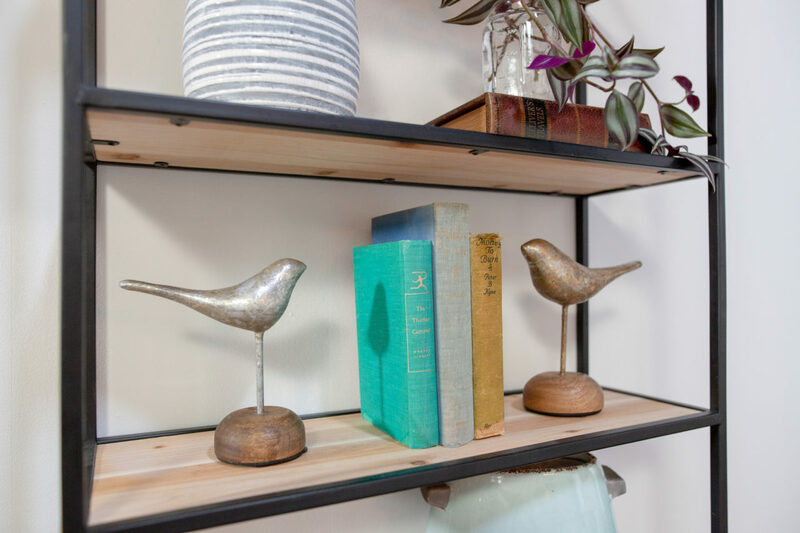 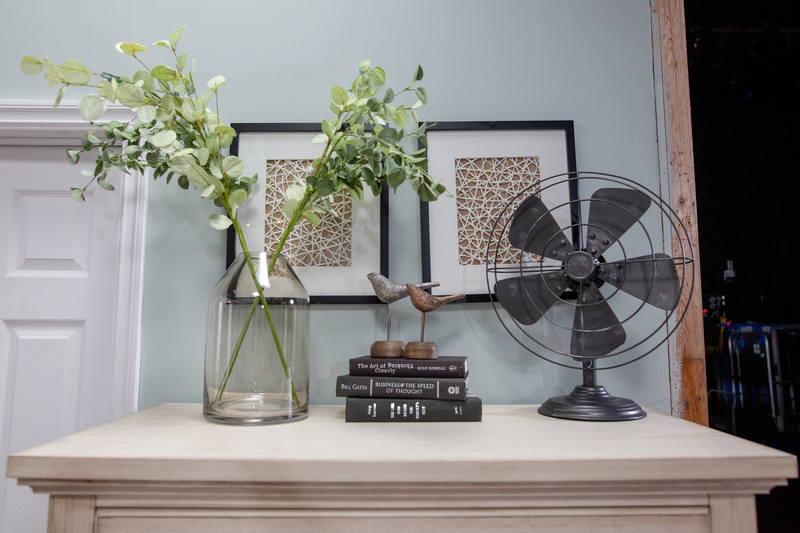 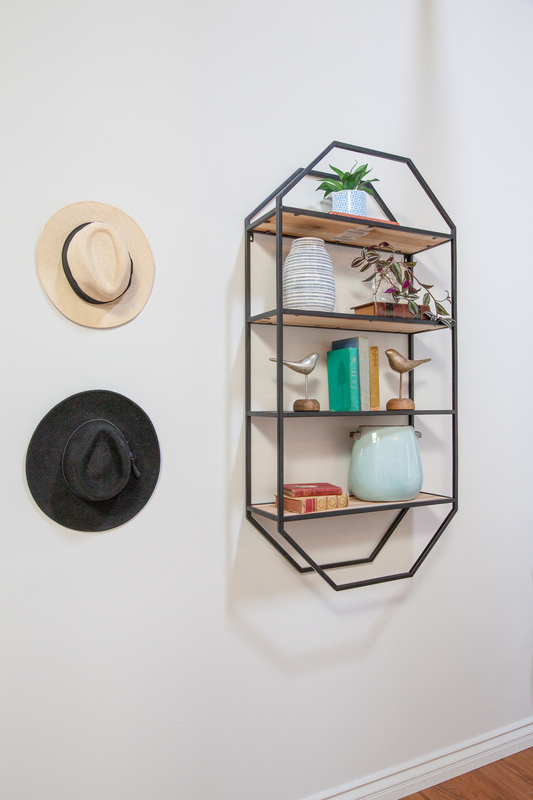 See how we took on pipe shelving with this tutorial! 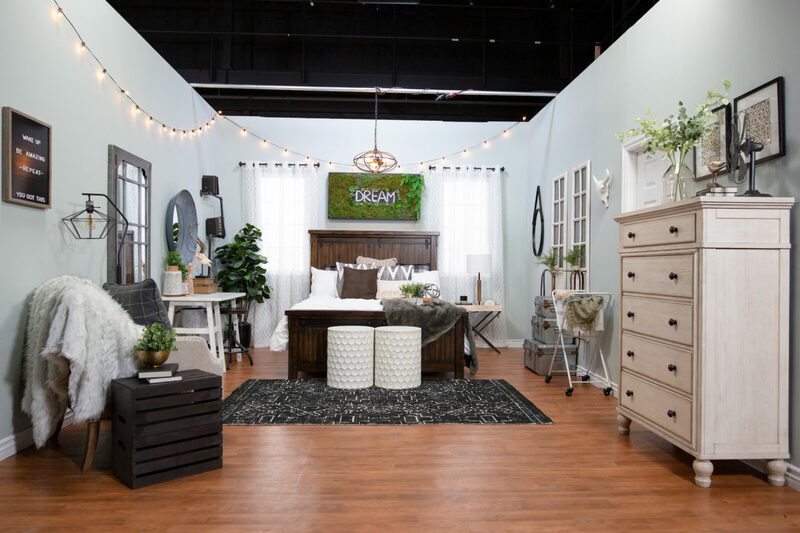 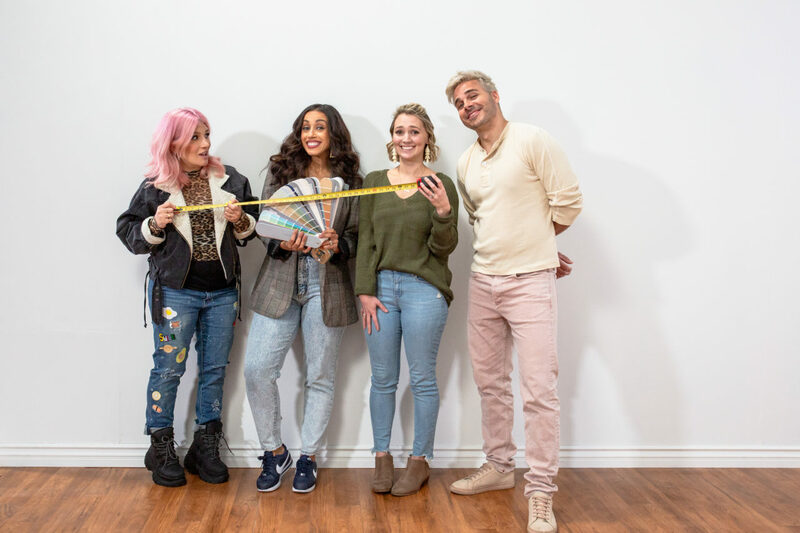 Meet our judges: Sam, marketing manager for Ashley HomeStore, Lauren aka LaurDIY, and Joslyn! 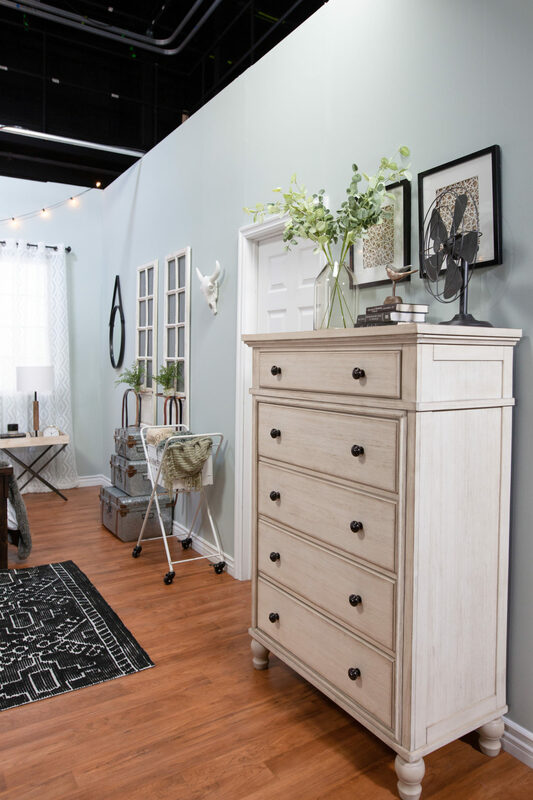 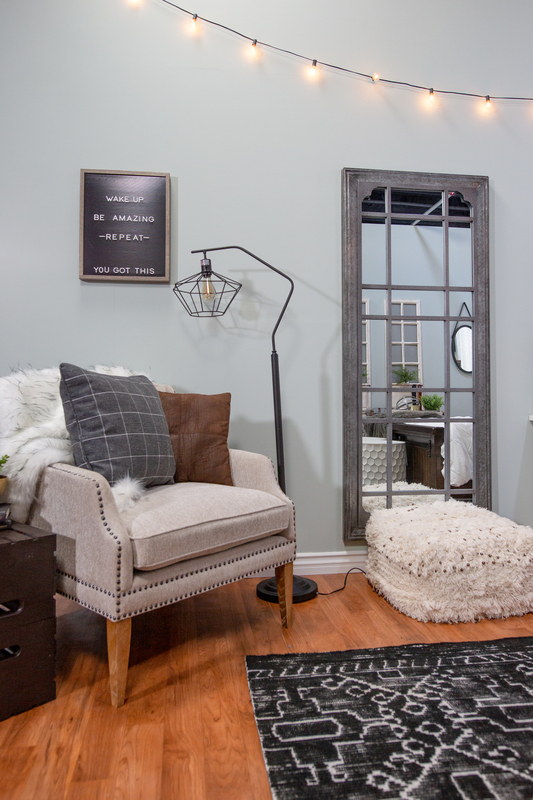 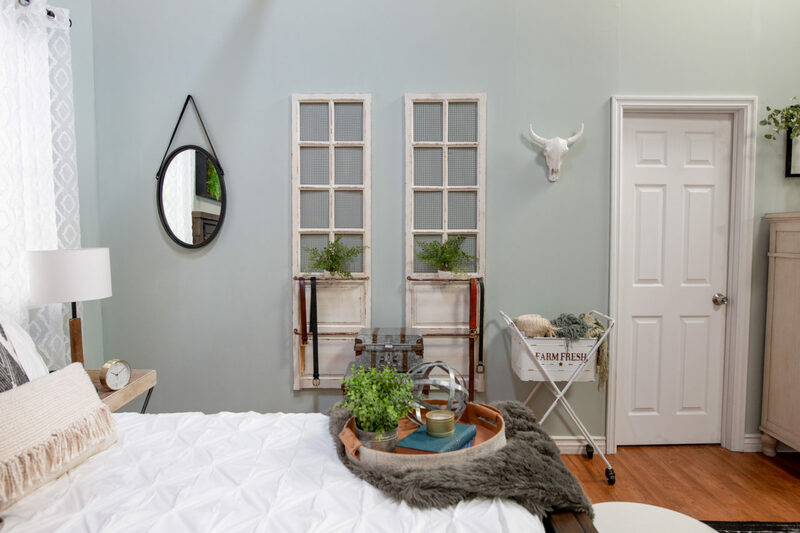 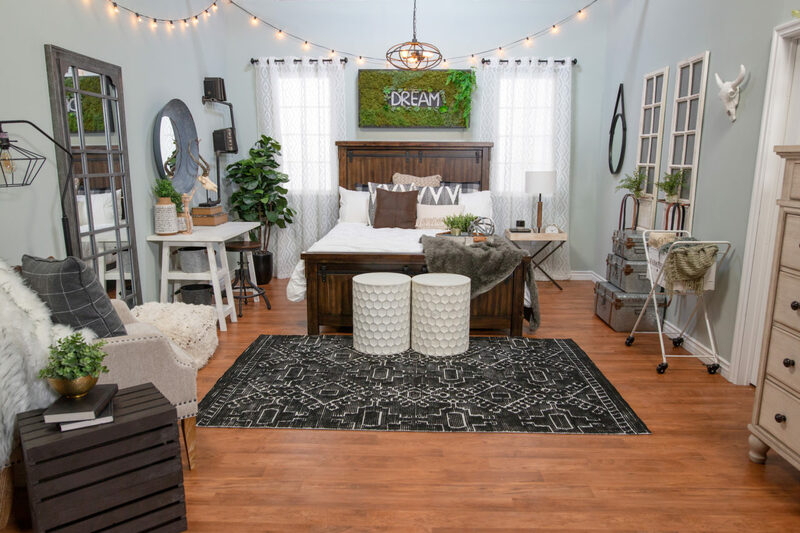 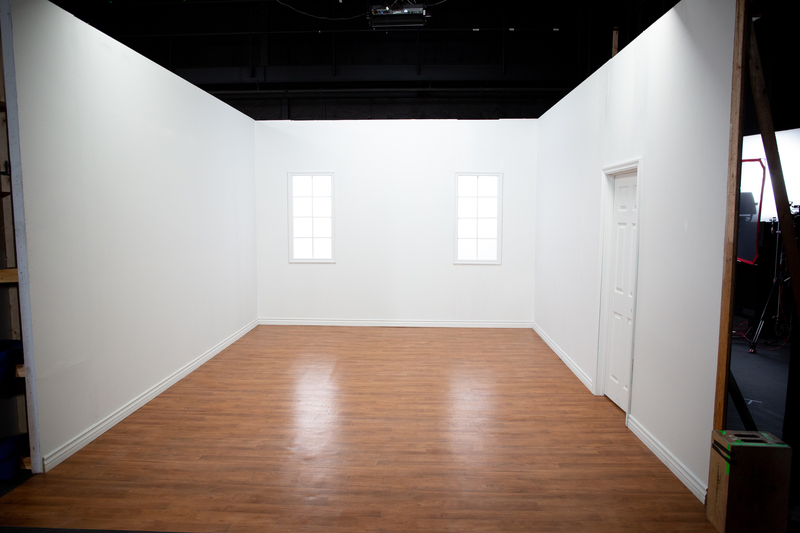 You might remember both Lauren and Joslyn’s room makeovers from OMGWACO! 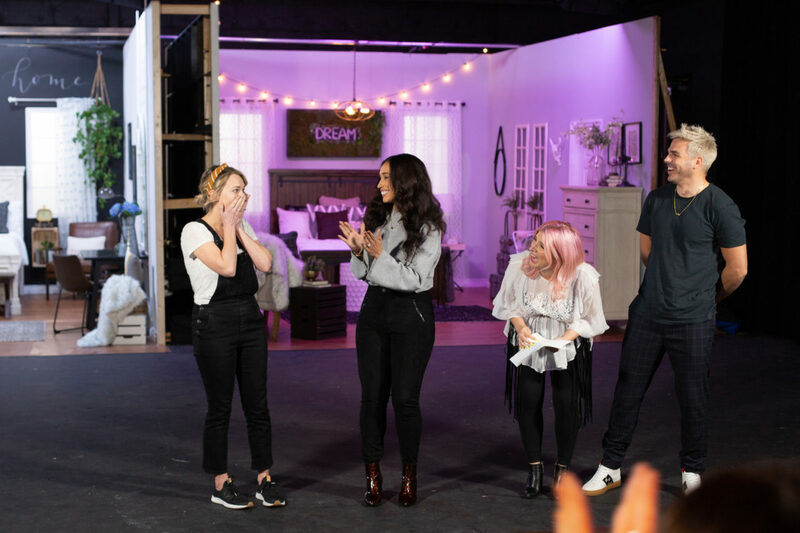 And the winner is … Hannah! 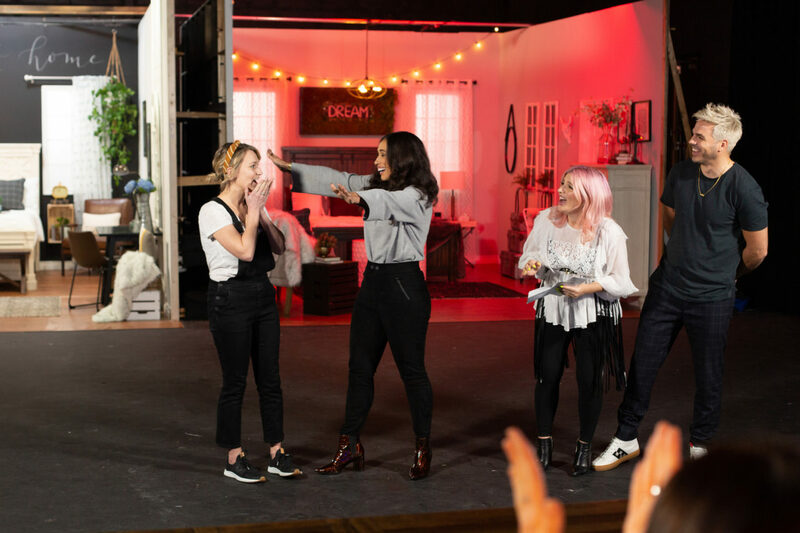 As proud as we are of Hannah, this episode isn’t about winning or losing, it’s about the celebration of being a creative weirdo! 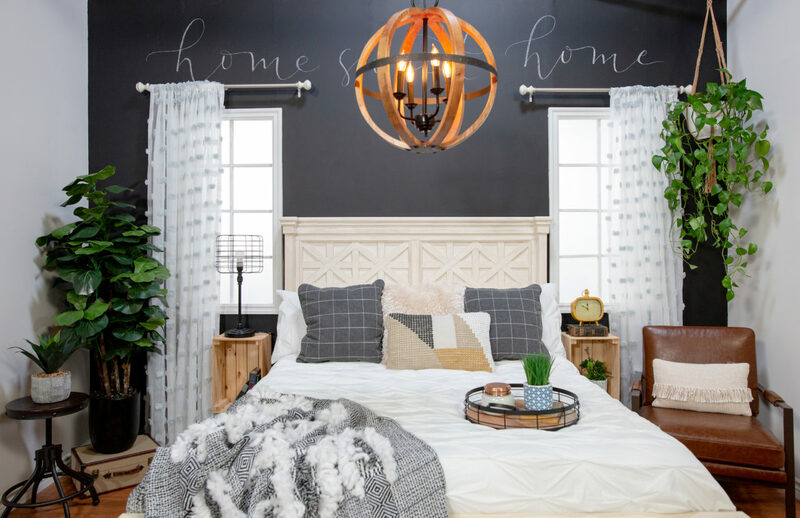 Additionally, both room designs were donated to A Sense of Home, an organization focused on helping individuals aging out of the foster system!